Discussion in 'iPhone and iPad Games' started by touchy85, Apr 6, 2016. Prepare to smash it! A hyper-charged arcade smash sport designed to test your skills and reflexes to the max. 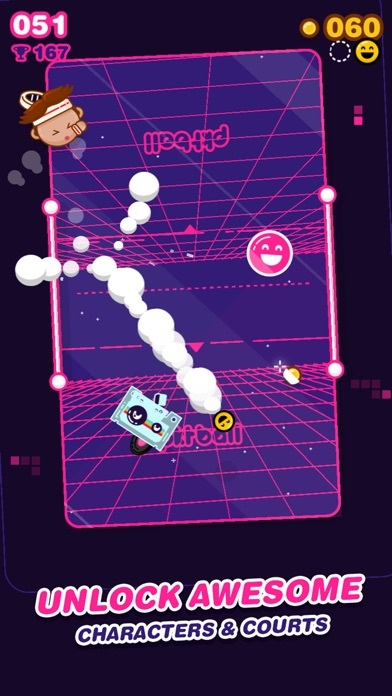 Fight your way through the leaderboard and become a PKTBALL master! Collect dozens of awesome PKTBUDDIES, featuring DotBoy the retro console, Brains the zombie, Mixtape the vintage cassette and many more. 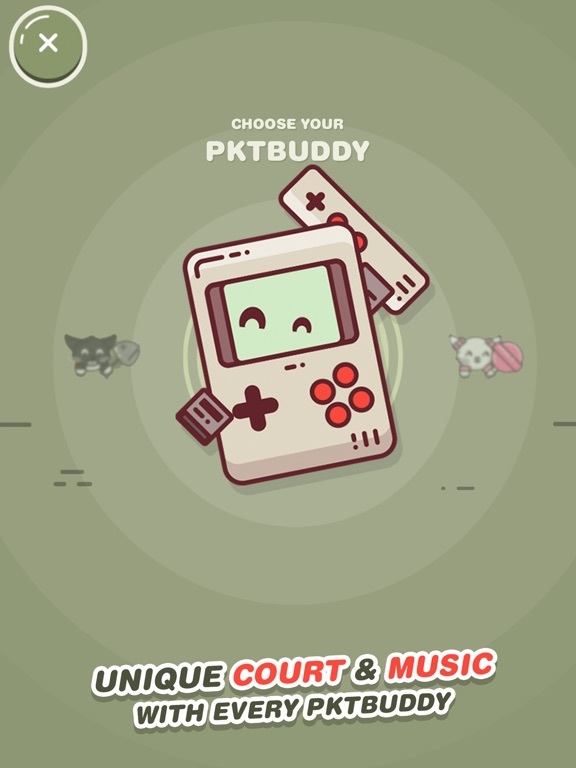 Each PKTBUDDY comes complete with a new court and unique soundtrack, and special guest PKTBUDDIES include PUK, ALONE, HOPIKO as well as other exciting characters! 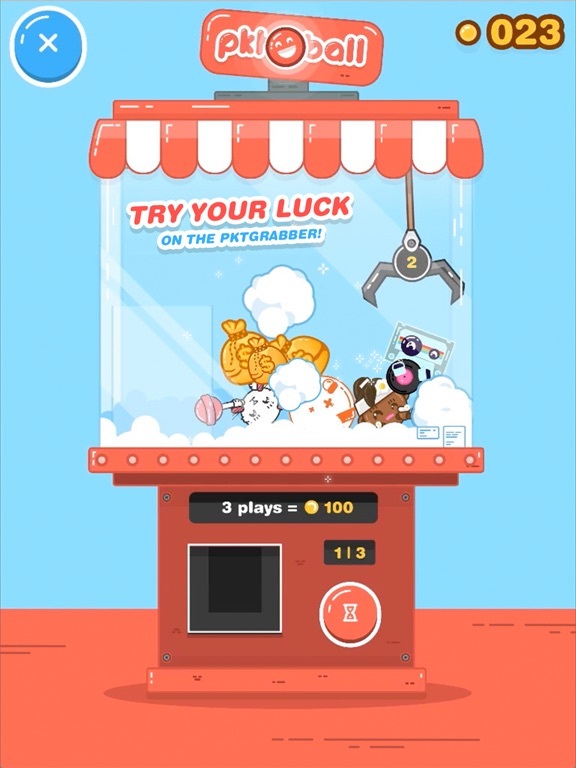 Play daily challenges, grab coins and try your luck on the PKTGRABBER mini-game. Find your perfect PKTBUDDY and break through to the top of the leaderboard! Keep ahead of your friends and check your ranks on the global leaderboard, or challenge them head-to-head in a local multiplayer game. Up to four players can battle it out on a single phone or tablet. A network connection is required for new characters and courts. Try multiplayer with up to 4 friends around one device. 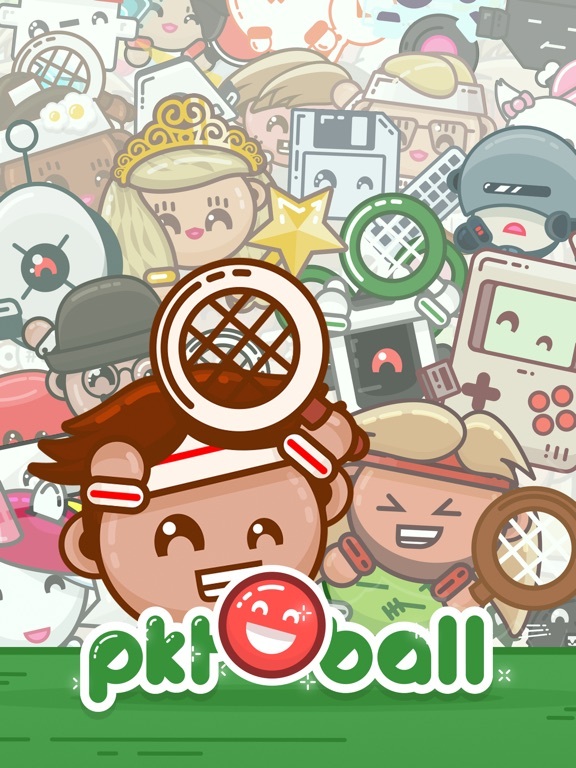 PKTBALL is a universal game app, compatible with most iPhone and iPad models. For best performance we recommend iPhone 5 or later. HEADS UP: PKTBALL is free to download and play, however characters can be purchased with real money. If you prefer not to use this feature, just disable in-app purchases in your device settings (Settings > General > Restrictions). Prepare to smash it! A hyper-charged arcade smash sport designed to test your skills and reflexes to the max. 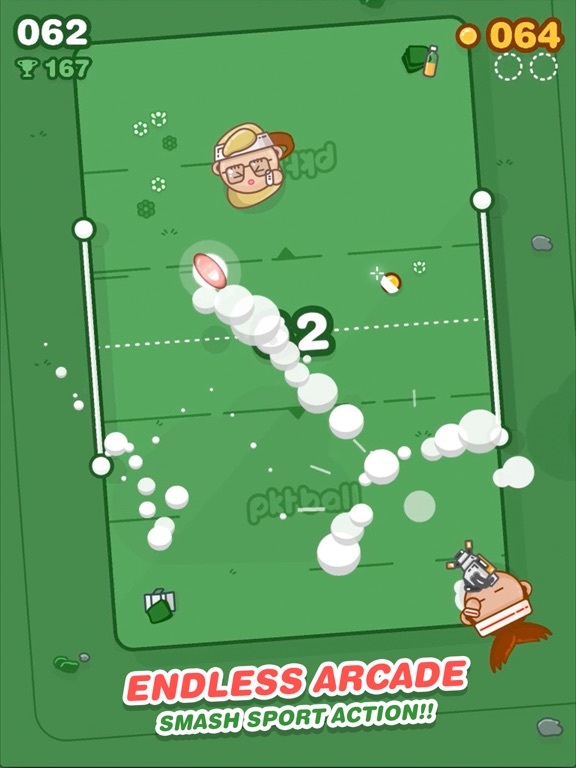 Fight your way through the leaderboard and become a PKTBALL master! 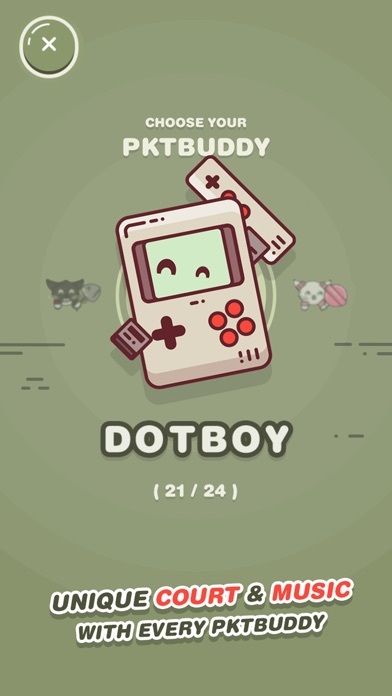 Collect dozens of awesome PKTBUDDIES, featuring DotBoy the retro console, Brains the zombie, Mixtape the vintage cassette and many more. Each PKTBUDDY comes complete with a new court and unique soundtrack, and special guest PKTBUDDIES include PUK, ALONE, HOPIKO as well as other exciting characters! 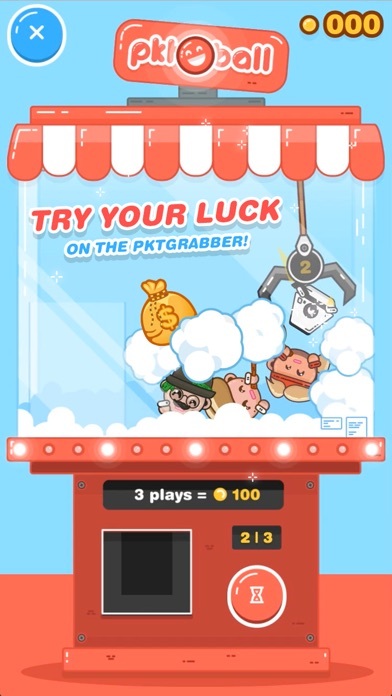 Play daily challenges, grab coins and try your luck on the PKTGRABBER mini-game. Find your perfect PKTBUDDY and break through to the top of the leaderboard! Keep ahead of your friends and check your ranks on the global leaderboard, or challenge them head-to-head in a local multiplayer game. Up to four players can battle it out on a single phone or tablet. A network connection is required for new characters and courts. Features Smash your way through the exciting endless arcade mode Earn coins to play the PKTGRABBER mini-game, then use your skills to claim new PKTBUDDIES Compete for the best high score and make your mark on the global, friend and daily leaderboards Fill your trophy cabinet with over 20 PKTBUDDIES, each with their own themed court and soundtrack Earn more coins by completing daily quests or push the “coin-o-blasto” button for even more chances to win PKTBUDDIES Build up your skills then challenge your friends to a head-to-head match on a single iPhone or iPad Try multiplayer with up to 4 friends around one device. 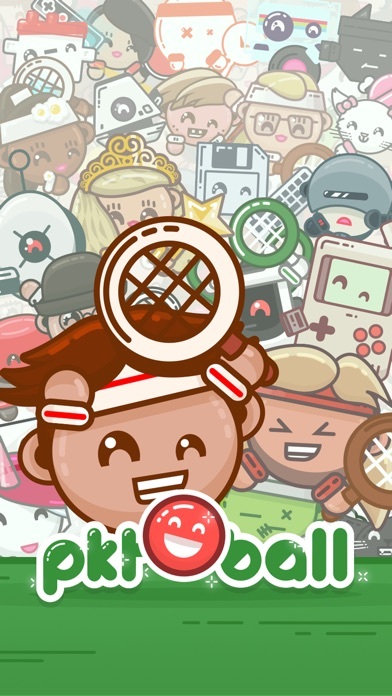 Integrated Game Centre scoreboards and loads of unique achievements Compatibility PKTBALL is a universal game app, compatible with most iPhone and iPad models. For best performance we recommend iPhone 5 or later. Support Having issues? contact support@laserdog.co.uk HEADS UP: PKTBALL is free to download and play, however characters can be purchased with real money. If you prefer not to use this feature, just disable in-app purchases in your device settings (Settings > General > Restrictions). This is made by the Hopiko guys. 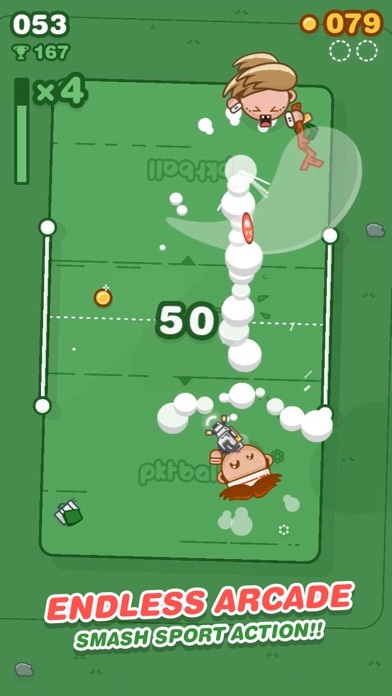 I know these guys are talented and Pktball is a good game, but it just frustrates me. I don't understand how it works. My first game was terrible, and it still took 10 minutes to beat that score. And after almost 20 minutes I still don't understand how to be good at this game. Like I said it's absolutely not a bad game, but it's super hard to get into. Wow this is really enjoyable. High score is 178 or thereabouts. Some of the "power-ups", like the banana ball, seem to hurt you FAR more than the opponent though! Also,the game DESPERATELY needs a pause button. If I'm in the middle of a game and have to stop I basically lose that game (or you can try to quickly power off your device in between shots and it will pick up right where you left it; home button will not work). It's kind of like the old game boy Tennis (the original) or Tennis Champs. If you slide your champ over to the ball you will return the ball, but if you flick your champ over and time it right so that the flick ends, and your finger is raised, as your champ is at the ball, they will do a cross-court shot. It sounds hard but after two games I could literally do it almost every time. This is the game of the week for sure! The controls do seem weird at first, but I picked up on it quickly. Gonna have a lot of fun with this! Biggest surprise of the week! Some new and completely different from Laser Dog! Woah! Great game & Laser Dog is awesome! I'm watching ads just b/c everything Lader Dog does is awesome! I will always support the devs even with F2P jazz. 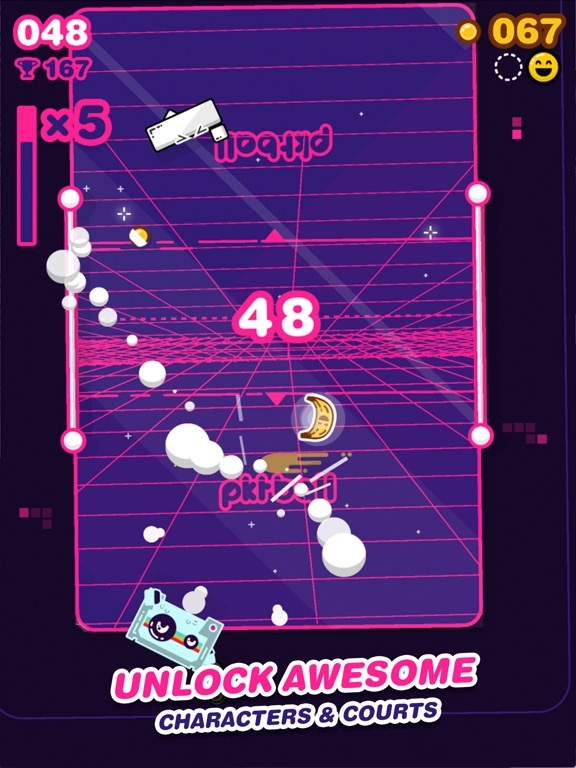 Apart from the fact that Laser Dog games are an insta download, this game is so INSANE GOOD. 4 player mode on the same device. That. Alone. makes it awesome already. Great partygame inside of an already great game! About the controls, try to drag and release instead of just giving it a swipe. I've no problems with the controls at all. My best game of the week so far, definately. Guys, just download this gem. I think Laser Dog is a little overhyped and I really didn't care for Hopiko but this? This game is fun as hell, hardly any ads, easy to learn, dif#### if I hear that in one more game description I might die. After a couple rounds when it clicks it's just really fun. I only own an iPhone and that's it so playing split screen with multiple people on the same device seems just absurd to me. Haha, choice game though! Just bought the PKTBOT to support them. I would also like to have a pause button. Especially in the 2+ local player mode, but also in the solo mode. In the highscore menu, I don't see any scores. Well I do see my own but I don't see global and daily scores. Is this because I have the Game Center bug? Just spent some time with the 1P mode and I'm really liking it so far. Had an initial speedbump with the controls as well (swipe through the ball to the right to hit it to the left) but once it clicks, it works really well. Those microball, bananaball and fishball are so so.... >: I have a love/hate relation with them <3. This may be my game of the week. I'm loving it and if you swing a little earlier than you think u should the ball flies. My high score is in the 80s. I wish apple would fix the damn GC bug already. It's past ridiculous now. Very frustrated. It shouldn't be rocket science. Do they not know about it? High score games really need it...even with the jerks who post fake scores. I'm curious what the devs highscore is. Got a score of 118 so far, like the game, it's hard, but enjoyable. So it's my GOTW but it's draining the battery fast. I'm dropping about 2 % per game. Hey guys, thanks for all the awesome feedback! PKTBALL took A LOT of work to get finished, reading this thread has made it all feel completely worth it!